ARRESTED: Staymon George and Aaron Wilfred Hing. 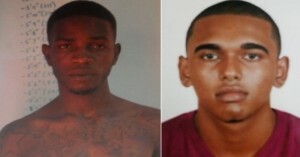 Two key suspects wanted in connection with the disappearance of a British youth were arrested Friday night and the god brother has confessed to his “involvement”, following diligent investigations by crime sleuths. Head of the Criminal Investigations Department, Senior Superintendent Wendell Blanhum told Demerara Waves Online News that 22-year old Aaron Wilfred Hing was arrested at a city hotel at about 8 PM Friday night. Staymon George, a 23 year old man of African descent, was arrested Saturday morning at a house at Tucville, Georgetown. 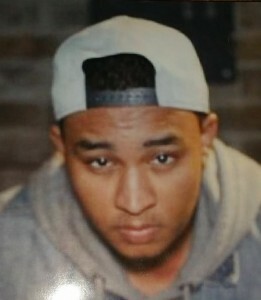 Blanhum credited the Major Crimes Investigations Unit of the Guyana Police Force with working very hard to locate the two suspects for questioning in connection with the disappearance of 18- year old Dominic Michael Lloyd Bernard who since his arrival from the United Kingdom in October, 2015. Blanhum said Hing, who is Bernard’s god brother, had admitted to his “involvement” in the disappearance of the Briton. The Head of the Criminal Investigations Department also told Demerara Waves Online News that specimens of the decomposed body found at Alness Village, Corentyne, Berbice would be sent overseas for DNA testing to confirm the identity. So far, there is no conclusive evidence that the body that was found Friday is that of Bernard’s.